snack bar area or pool area. 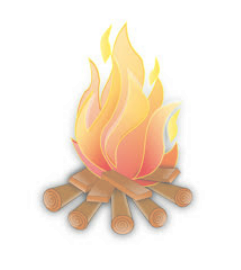 Campfires – allowed in designated area only. Dumpster – provided close to the parking area for all trash. in parking lot. Washing of camper or vehicle is not allowed. Speed Limit: 10 mph throughout park. vehicle per day. This charge does not include swimming or fishing. Picnic Tables are provided for overnight campsites only. Quiet Hours will be from 11:00 pm to 7:00 am. Please be considerate of others. Swimming – Campers can swim – Monday through Saturday – 10:00 am to 5:00 pm and Sunday 1:00 pm to 5:00 pm. One pool will be open for campers only from 6:00 pm to 8:00 pm daily. Pets – Small pets are allowed and are to be kept on a leash at all times. Please be considerate of others and clean up after your pets. Pets are not allowed inside the pool gates or the snack bar area. CHILDREN ARE THE RESPONSIBILITY OF THEIR PARENTS.